Shell’s recent AGM was tumultuous. Shareholders voted overwhelmingly for the company to report on whether its activities were compatible with promised government action on climate change. The firm’s board reportedly faced a sometimes-hostile barrage of questions about its approach to the environment. The key question shareholders are asking is this: what if the majority of Shell’s proven fossil fuel reserves must stay in the ground in order to avoid a dangerous global temperature increase of more than 2°C? Shell’s proved reserves are the company’s biggest asset against which it borrows money from banks and attracts investments from shareholders. Most of the oil and gas majors are struggling to find enough new reserves to keep growing in the future. This is why Shell and all other major players in the industry have to go to more extreme lengths to find the fossil fuels that keep our lights on, cars on the road and their profits growing. Controversial and environmentally very suspect investments into Arctic oil drilling, US shale gas and Canadian tar sands have already tarnished the environmental credentials of Shell. But Shell needs to find more oil and gas to keep its asset base growing and its profit potential intact. So it agreed to buy UK-based oil and gas exploration group BG Group for a staggering £47bn. To quote recent analysis, this “gives Shell a presence in the productive zone off the coast of Brazil, and will ensure that Shell’s own production is maintained over the medium term, taking away the requirement to make large discoveries to offset natural depletion”. But now an entirely new threat hangs over Shell’s future viability as a leading fossil fuel company. A high-profile campaign has argued that most of the proven reserves by oil and gas majors are “stranded assets” – something Shell has denied in the past. This would render Shell’s acquisition of BG Group and its investments in the Arctic wasted capital. The idea that fossil fuel firms’ reserves are overvalued because of looming climate legislation is often referred to as the “carbon bubble”. 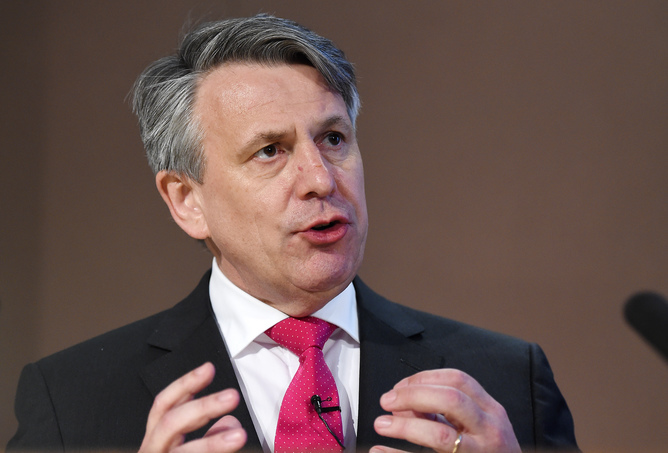 Shell’s chief executive, Ben van Beurden, was forced to admit at the recent AGM that this argument “sounds quite convincing and quite strong”. But he is also convinced that fossil fuels are here to stay for a long time to come and that decarbonisation will take decades. Can he really have it both ways? The campaign argues that we will never be able to burn any of the new fossil fuels we are discovering in the world from now on. At least not if we want to have a realistic chance of staying beneath a 2°C temperature rise above pre-industrial levels, which politicians agreed at the Copenhagen UN climate change summit in 2009 to be “the long-term goal”. 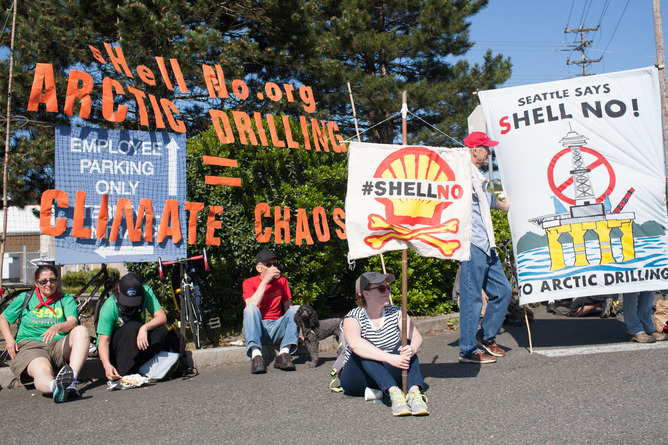 It is that long-term goal that may stand in opposition to the long-term survival of Shell as a fossil fuel company. If the world will be prevented from burning oil and gas at increasing rates and emitting many more million tonnes of carbon gases than the biosphere can absorb, Shell’s current business model appears broken. Indeed, Norway’s sovereign wealth fund and other Shell shareholders have called on the company to reveal exactly how climate change could affect the company’s future, a motion that was carried at the recent AGM. In its latest New Lens Scenarios report, Shell admits that the world is on course for a temperature rise of well above 2°C. It says this will even be the case if coal is rapidly displaced by gas (which the company is banking on with its BG Group and shale gas investments) and there is an accelerated deployment of carbon capture and storage (CCS) technologies, which, however, has developed at a snail’s pace and requires large subsidies, making it non-competitive. The wording of the report has led to claims by The Guardian – which has run its own high-profile “Keep it in the Ground” campaign – that Shell has given up on the 2°C target and is in fact planning for a much higher threshold of 4°C or even 6°C. I think this is overstated. But what is clear from the paper’s most recent interview with van Beurden is that Shell is banking on a very slow pace of climate change negotiations; it doesn’t feel under huge pressure to change its current business model until after 2015. Not a good omen for the forthcoming UN climate change summit in Paris. At least since 2009, the world’s governments have failed to come up with credible plans for radically reducing carbon emissions. The worldwide scientific community agrees this needs to happen if we want to avoid dangerous effects of climate change. There has been far too much focus on listening to industry lobbyists protecting corporate interests, their current and future assets as well as millions of associate jobs in the oil and gas industry. Instead we need a clear-headed admittance that the business model of major fossil fuel companies needs to radically change if we don’t just want to adapt to climate change but have a last-ditch attempt of mitigating it. Shell’s CEO van Beurden seems to agree with this, but doesn’t see this radical change coming until post-2050. Most experts agree, however, that we cannot leave it until then; it’s too risky. Global, powerful corporations, such as Shell, are often targeted by environmental activists in their attempt to hold them to account. Rightly so. But they are simply money making machines. Investing into fossil fuels is still very profitable, and shareholders demand high returns on their investments. Only politicians can change the logic of energy investments, and they will have to do exactly that when they will sit around the negotiating table in Paris in December this year. If we want to have a chance to keep within a 2°C temperature rise, politicians have to realise that current investment practices in the oil and gas industry are not sustainable and even, in the words of Al Gore, “absurd”.